This lightweight but easily absorbed cream reduces dark circles and signs of fatigue around the eye through the venotonic action of its natural ingredients: witch hazel floral water, horse chestnut extract and propolis. Vaso-constricting, decongestant and anti-inflammatory, they improve circulation and reduce dark circles. The eye area is brighter, looks refreshed and the eyes regain their sparkle. 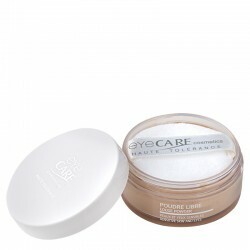 Gently apply around the eye with circular massage movements both morning and evening. Then to stimulate circulation and improve absorption gently pat down the skin. - Wrinkles : - 9,33 %. Dark circles had faded : 51 %. (Study conducted by IDEA on 16 volunteers, application of the product in normal conditions, over a 21 day period).